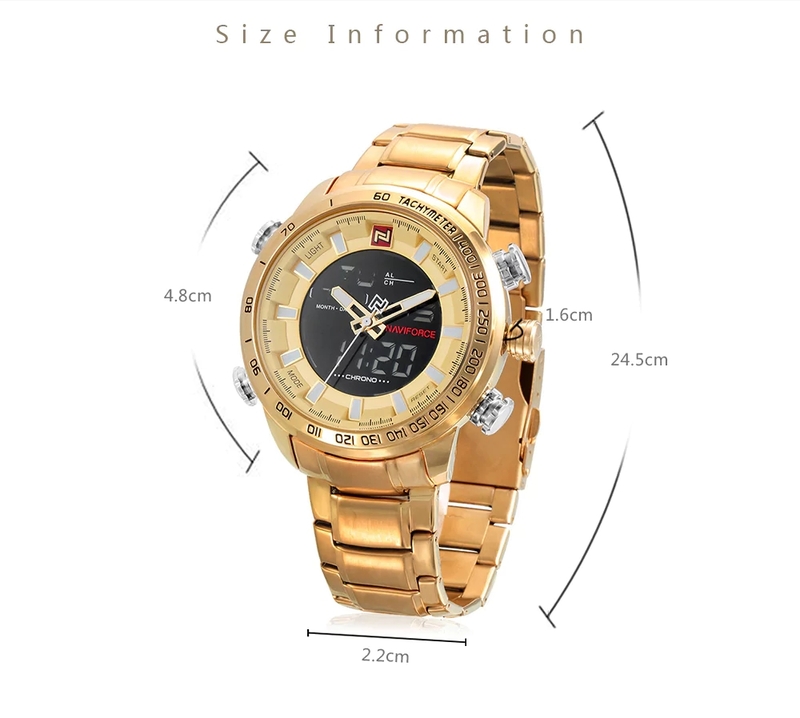 This watch is a symbol of your temperament. 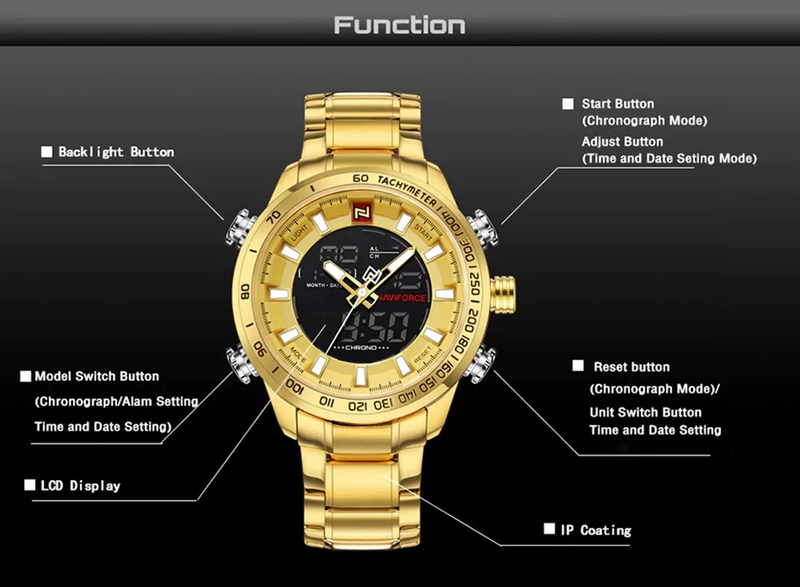 Digital and analog display makes the watch more practical. 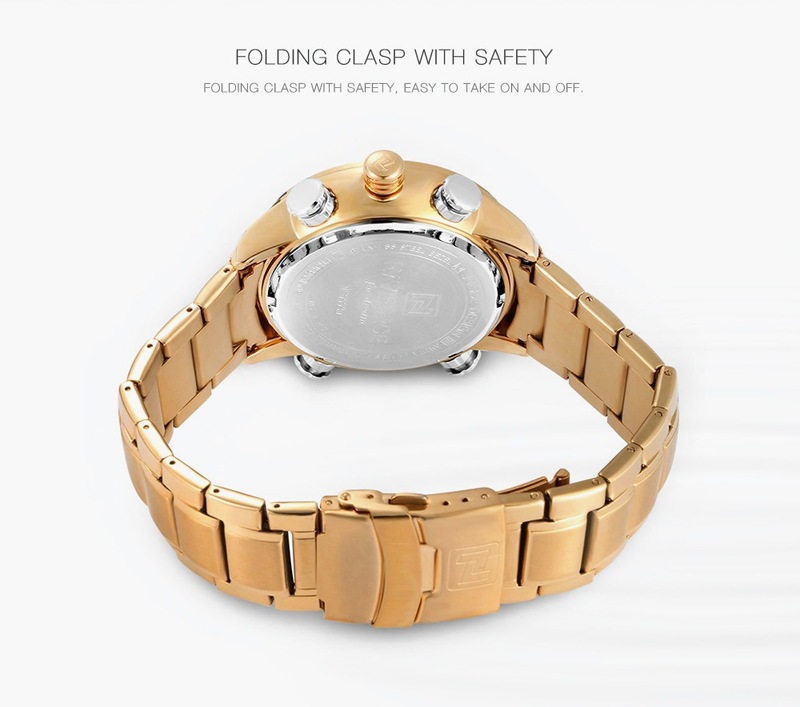 In addition, the fashionable design makes the watch all-match. 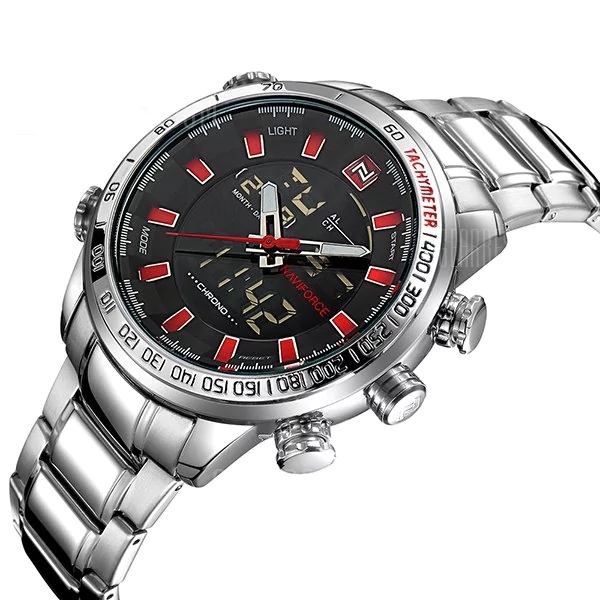 • Four buttons to control different functions. 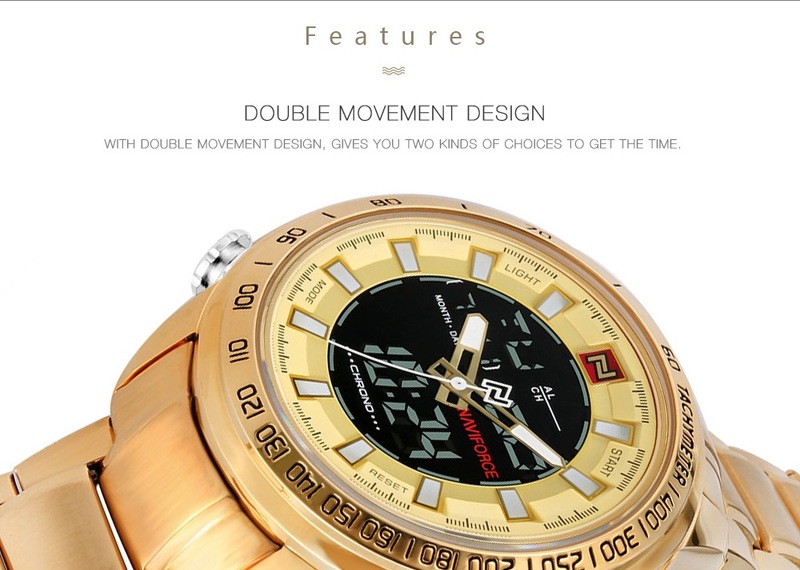 • Round watch dial is simple and generous. • Double movement, pointers and digital numbers to display time. 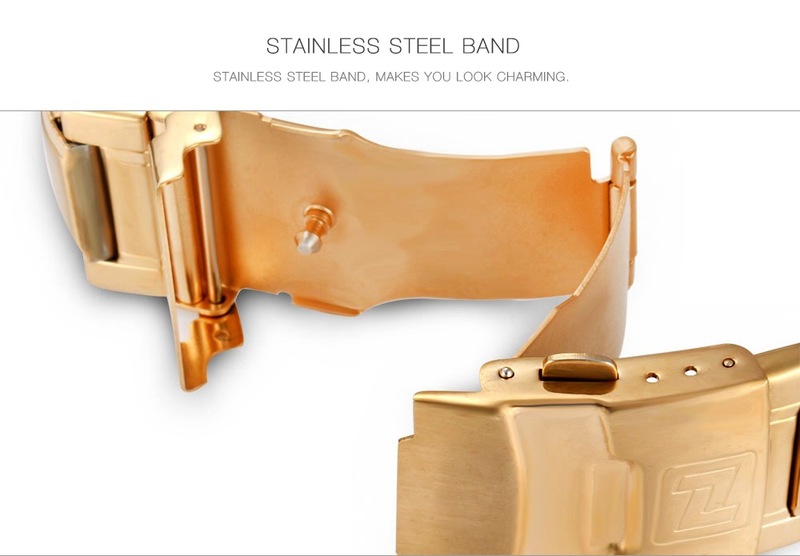 • Exquisite workmanship and high quality, worth having. 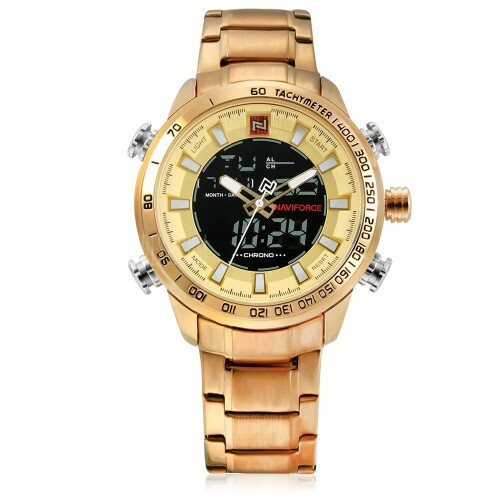 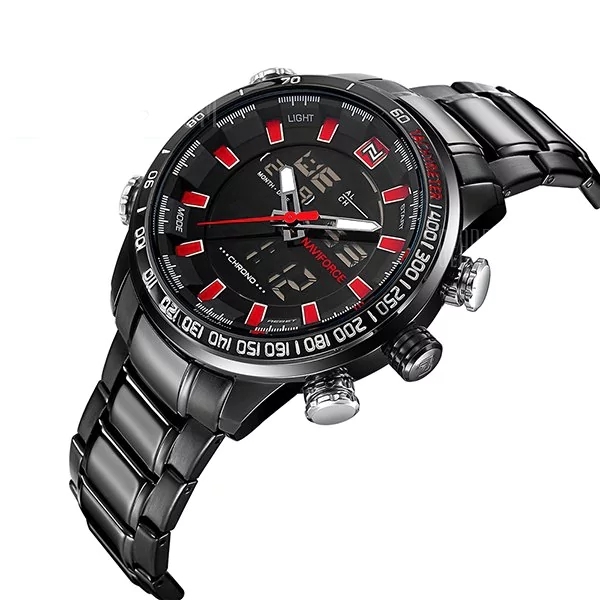 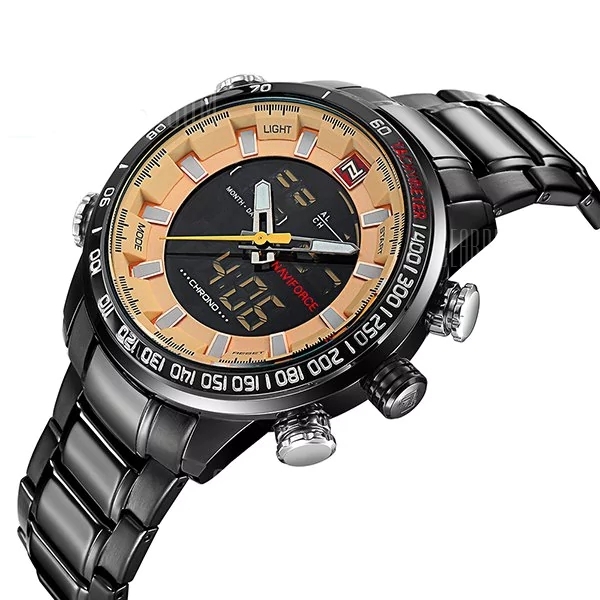 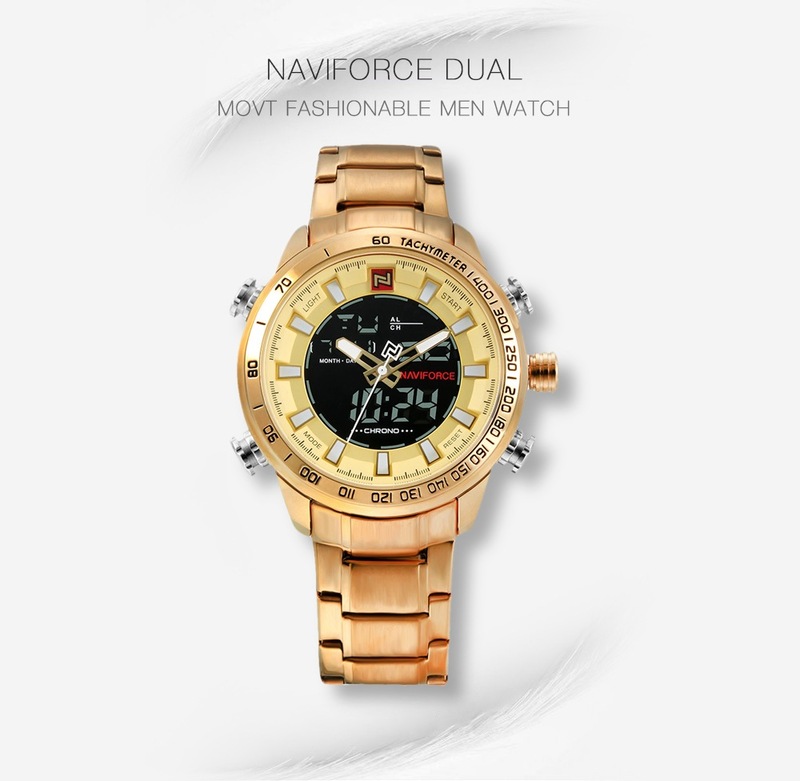 • Come with stainless steel band, this high-end business watch will show your taste and personality.